Recent analysis by Innovative Health paints the picture of American healthcare exploited by the medical device industry: The top medical device manufacturers in EP/Cardiology have – on average – more than doubled their stock value since the fall of 2014. During the same time period, the largest US hospital systems have seen their stock value decline by at least a third. Medical device manufacturers continue to increase their prices on new generation devices – while most hospitals are losing money on a Medicare/MediCaid A-Fib case. Innovative Health received 11 510(k) clearances in 2016 and 7 clearances in 2017 (and counting) – all in the EP/Cardiology area. 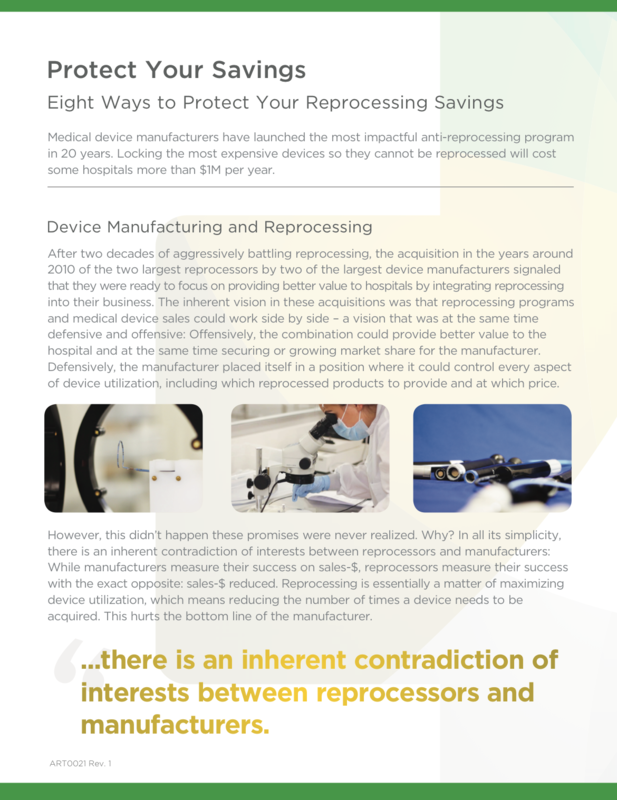 No reprocessor has ever come close to building this level of reprocessing capability over a two-year period. In fact, the last EP/Cardiology clearance from Stryker was granted in 2012. Keeping up the pace of 510(k) clearances is critical for the hospital because devices become obsolete all the time when manufacturers upgrade their technology. Before the end of the year, Innovative Health will publish an FDA data-based report on FDA clearance efficiency and performance. 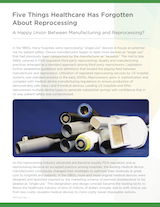 Recent legislation in the EU has begun regulating medical device reprocessing. The Association of Medical Device Reprocessors (AMDR) – the trade association of medical device reprocessors backed by all substantial US and European reprocessors devoted to reducing hospital costs – has supported the development of legislation in Europe that removes unsafe reprocessing practices from the hospital and place them with controlled, third-party reprocessing. We’ll see adoption of US standards and practices in Europe.